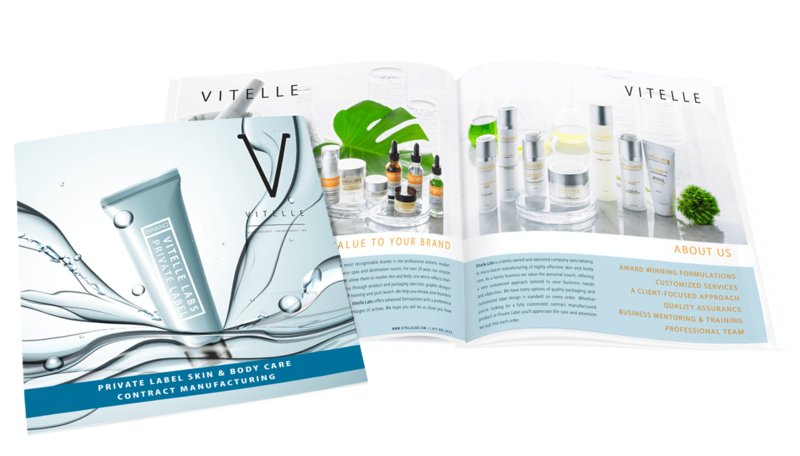 Vitelle Labs is the leading manufacturer of private label and OEM products in the professional skincare market. We specialize in natural source, plant-derived formulations enhanced with cutting-edge cosmeceuticals. Explore our extensive assortment of skin and body care products and in-stock packaging from which you can create your own unique collection. SELL THEM MORE OF WHAT THEY JUST BOUGHT! Founded in 1997, Vitelle is the industry leader in the development and manufacture of cutting edge skin and body care products for the professional skincare market. Copyright VITELLE LAB | All Rights Reserved.